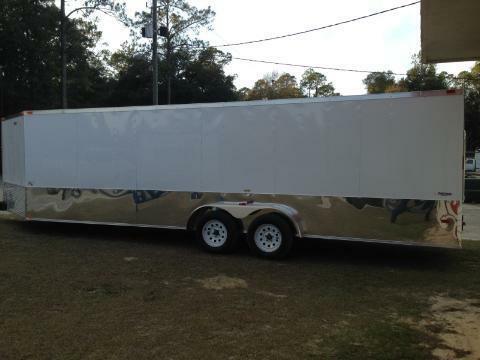 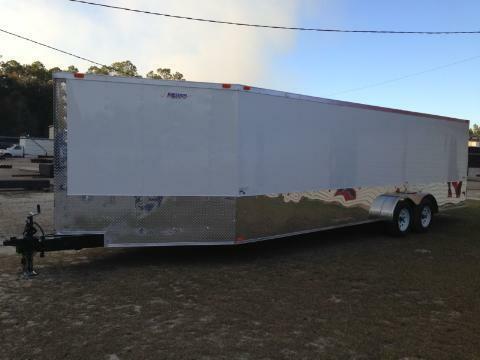 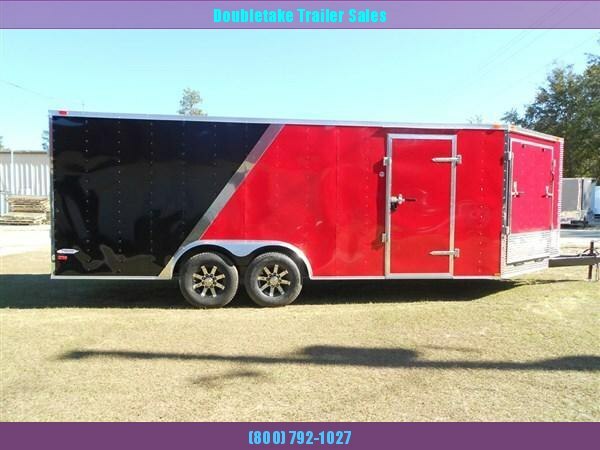 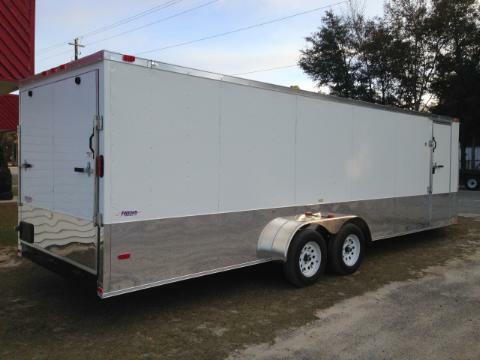 FREEDOM 7X20 SNOWMOBILE TRAILER . 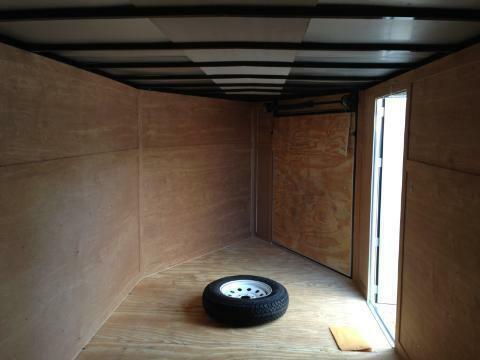 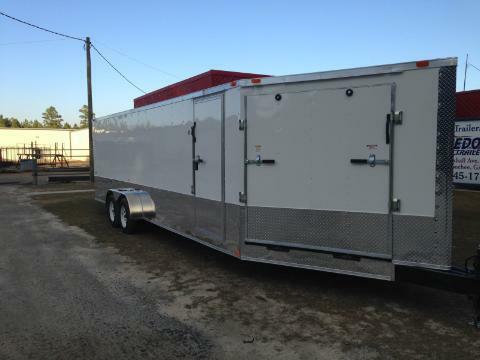 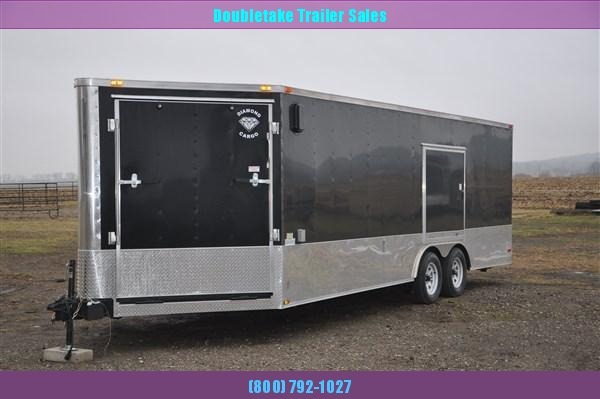 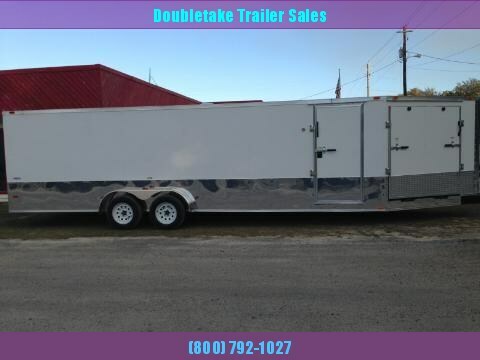 THIS TRAILER FEATURES A REAR RAMP DOOR AS WELL AS A 5 FOOT RAMP DOOR IN THE V NOSE. 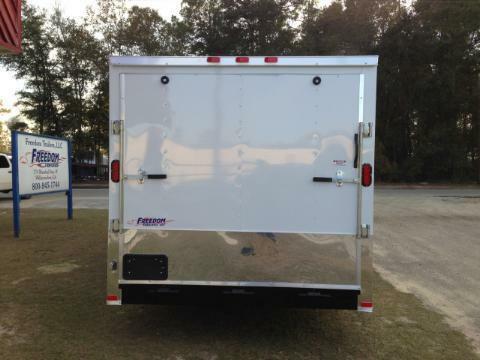 ALSO WITH THE FLASHY 24 INCH ANODIZED BOTTOM TRIM WILL KEEP YOU FROM LOSING IT IN THE SNOW. 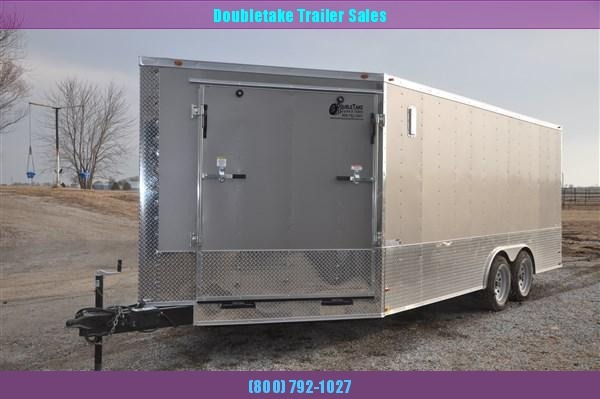 THIS GREAT FREEDOM TRAILER ALSO INCLUDES ALL OF THE GREAT STANDARD FEATURES LISTED BELOW. 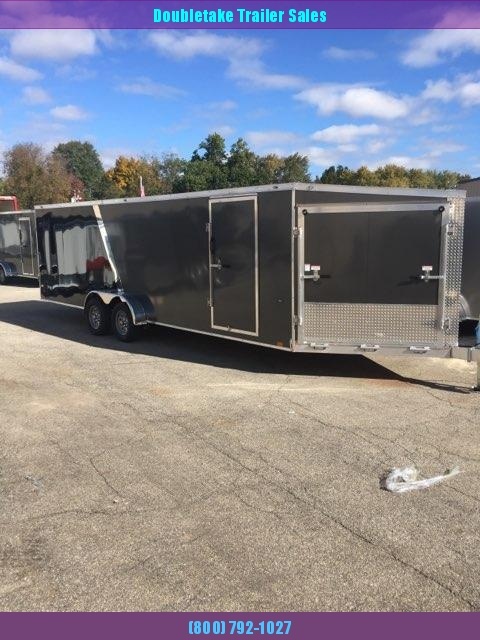 SO FEEL FREE LOOK THRU THIS LIST OF STANDARD FEATURES AND WE FEEL YOU WILL UNDERSTAND WHY OUR TRAILERS ARE CONSIDERED TO BE ONE OF THE VERY BEST VALUES ON THE MARKET IN THE TRAILER INDUSTRY TODAY.